I’m a firm believer that no birthday is complete without lots of sweets, so for my cousin Nathalie‘s birthday this weekend, I made these vanilla cupcakes with buttercream frosting. They were a big hit, thanks to my friend Deanna’s vanilla mayo cake recipe. It’s one of my all-time favorites because it makes crazy moist cupcakes and is super easy to follow. (I used the chocolate mayo cake version for these diamond cupcakes which also tasted amazing). 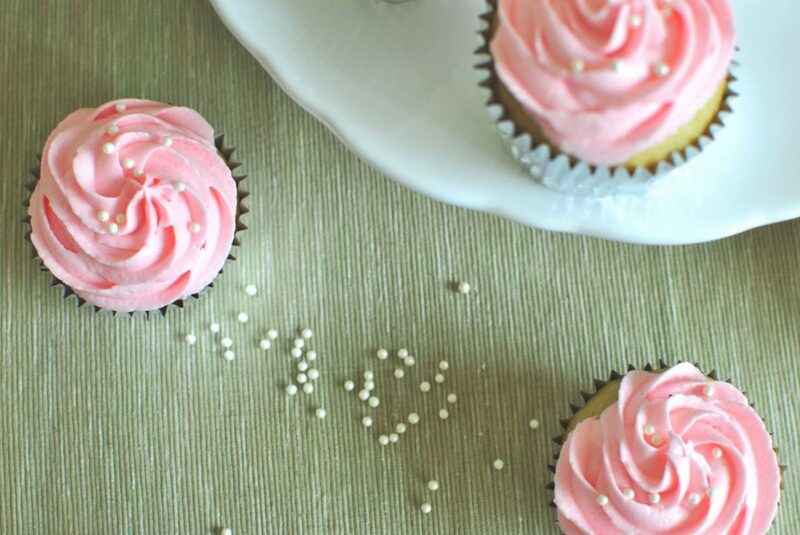 Doesn’t pink frosting make all baked goods look ten times more fun? Sift together the dry ingredients. Add 1 cup cold water, 1 cup mayonnaise and 1 tsp vanilla. Beat until well combined. Stir in lemon zest. Bake at 350 for about 18 minutes, rotating pan half way through. 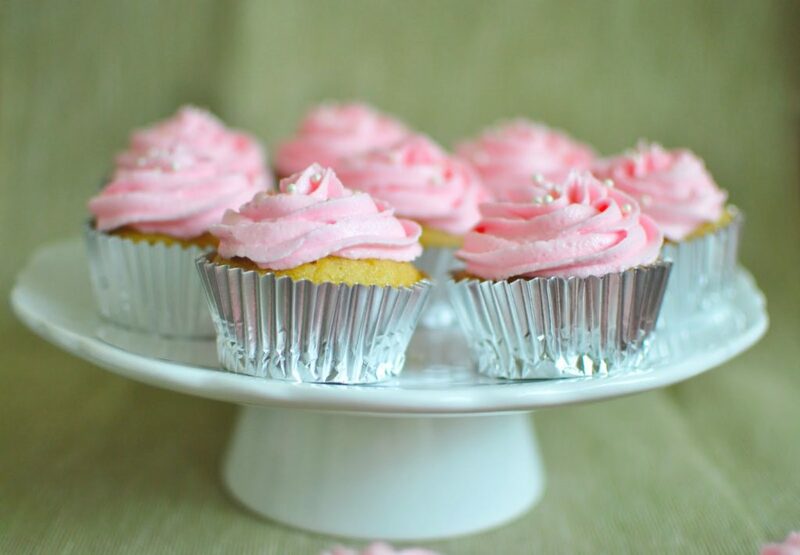 Pink frosting. Mayo. Cake. These are things I love, packed together in cupcake form. Perfect for a birthday celebration … or just for any old time. Game. On. Love your blog and thank you for sharing it with me. Your writing style has an infectious (in a good way) feeling of life, laughter and energy that makes me smile. Hi, these look delicious! I'm going to make them tomorrow, and I was wondering what kind of frosting you used? It looks beautiful! I have made these twice now. Once for a college graduation party and recently for my daughter's first birthday. I can't thank you enough for the FANTASTIC recipe. The cupcakes get rave reviews every time and I don't want to stop eating them! 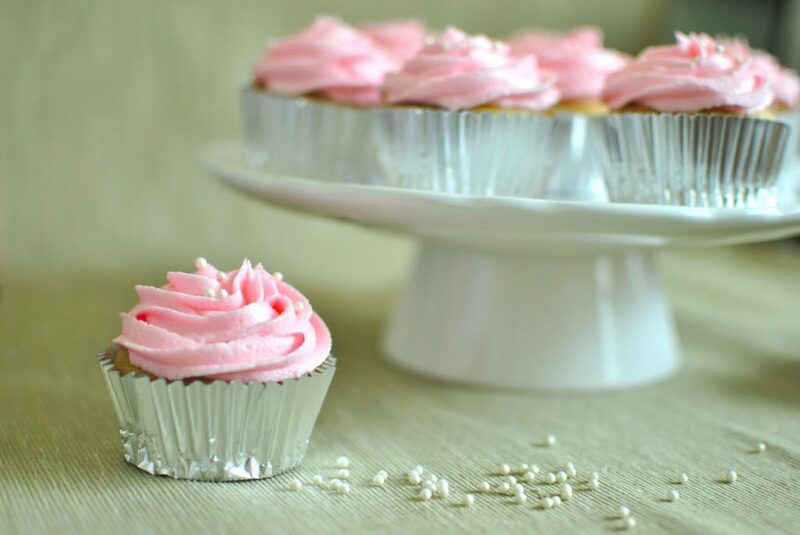 I put them in the jumbo cups and found that 34 minutes in the jumbo cups makes a PERFECT cupcake. THANK YOU AGAIN! stacey, you are so welcome! that makes me really happy to hear people enjoy them as much as i do. plus they're so easy to make! Does this recipe work well for 9×13 cake pan? Hi! I have made this recipe in cake pans before and they have turned out well, so I think a 9×13 pan would work! Your one-stop resource for info about your accounts and monetary news. Edward Jones Account Why Online Access?Check out our Digital Provider Overview To discover.